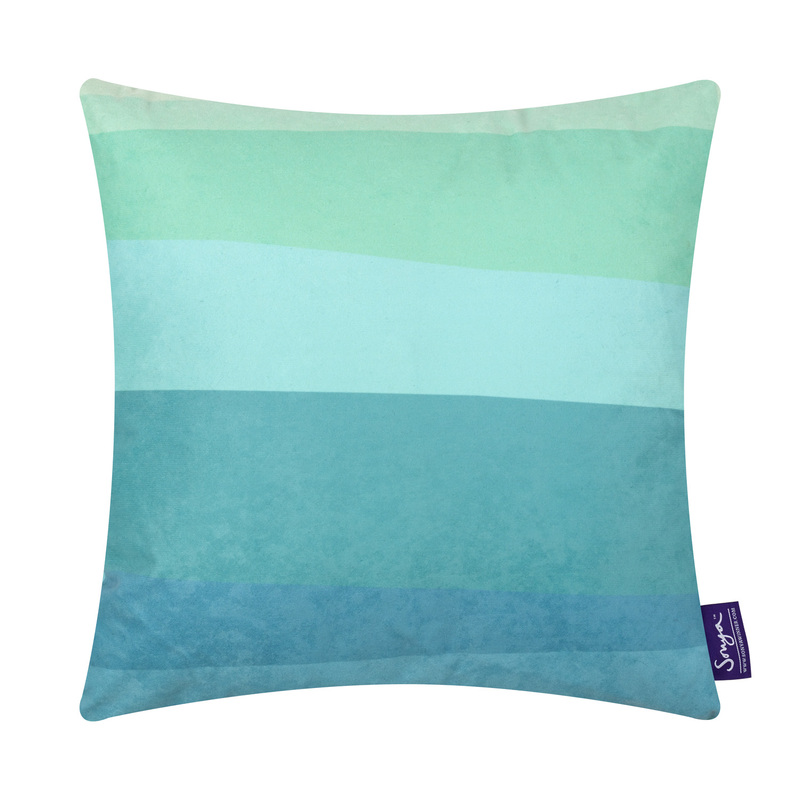 Aqua Teal is a set of soothing decorative teal cushions, featuring the same restful shades of light blue as the Aqua Teal Sea rug. 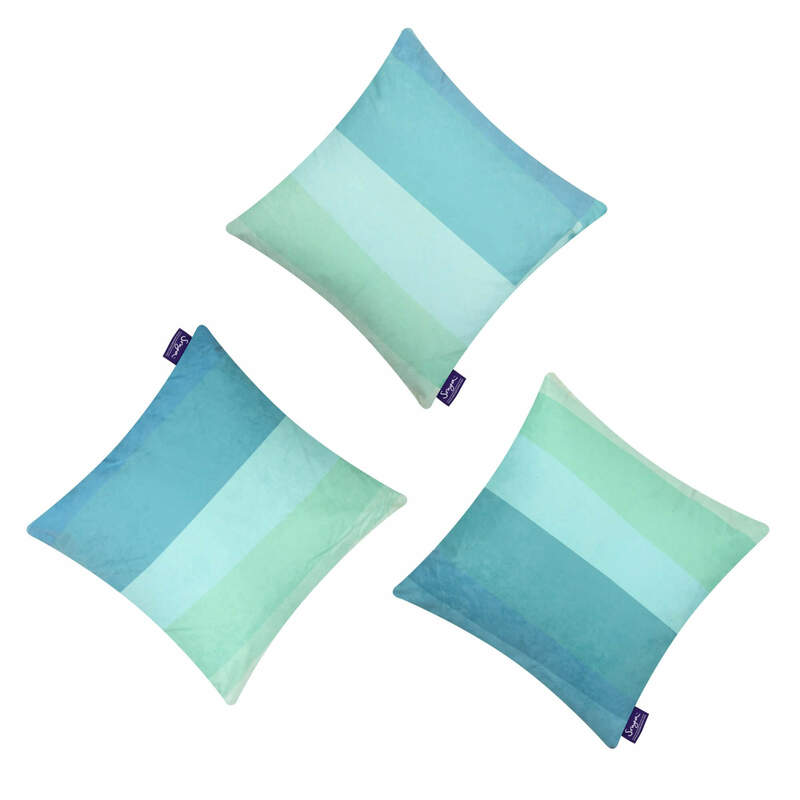 Soft subtle blending of aquamarine and teal are used to create a graphical interpretation of the crystal waters of the Mediterranean, making these teal pillows ideal for a calming, elegant effect in your living room or bedroom. The design of the cushion covers is created through the overlapping of a series of irregularly shaped structures, elegantly arranged within a rectangular form. 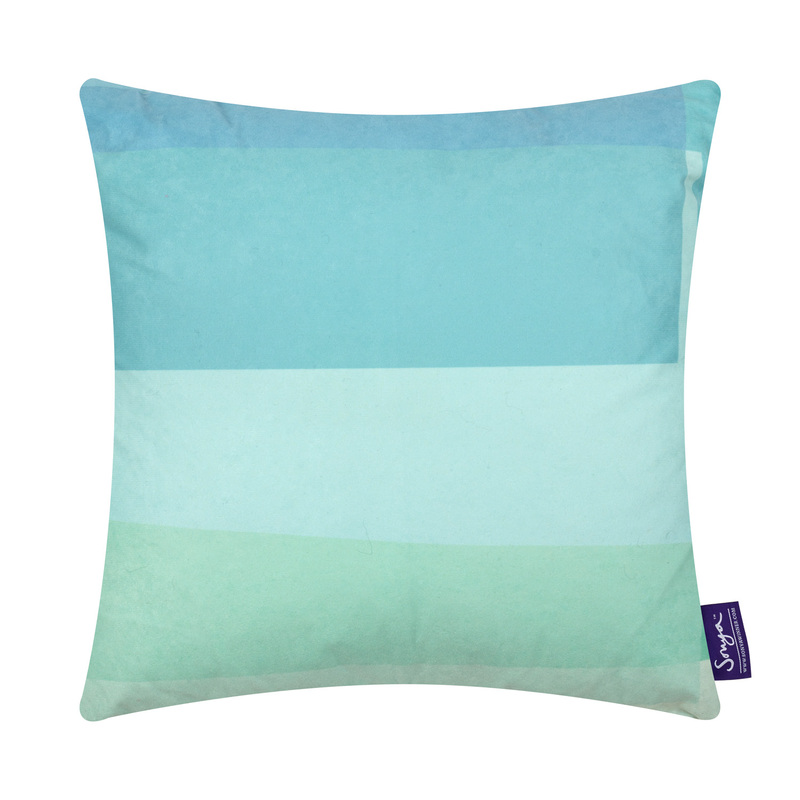 Originally inspired by the crystal waters around the islands in the Mediterranean, the delicate aqua hues of the decorative cushion design bring a sense of tranquility into your home. 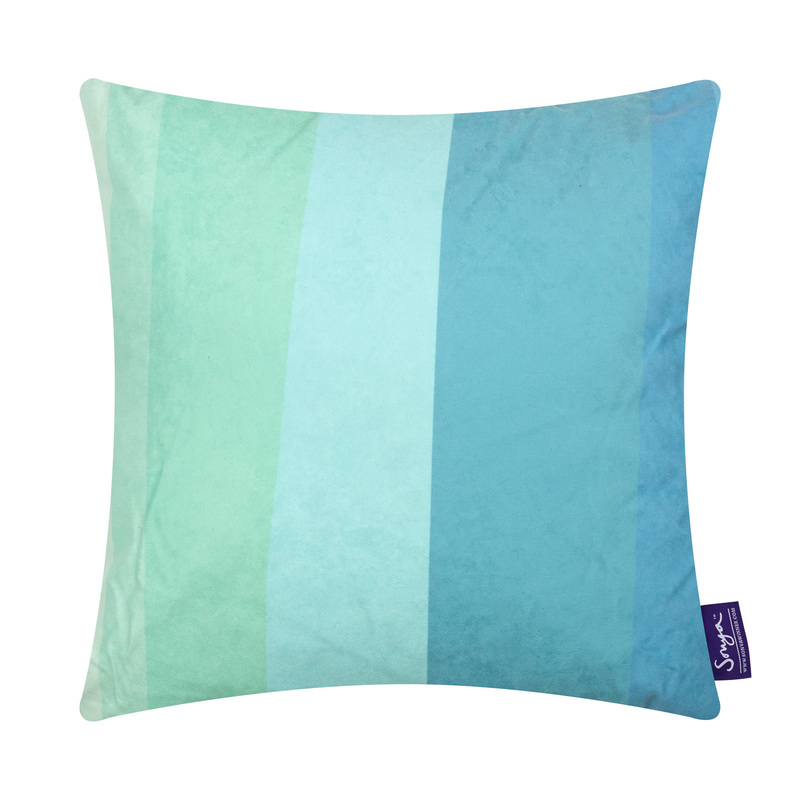 Made of faux suede with a zip, all our cushions have an inner beautifully soft removable down feather pad. They are easy to clean and maintain. We recommend washing in cold water or dry cleaning.